It is rightly said – “India is a vibrant and colorful country”. And we Indians never fail to live up to this adage especially during festivals. We don’t believe in missing opportunities to celebrate, eat, have fun and be merry with family and dear friends. Be it Holi or Diwali, Mahashivratri or Krishna Janmashtami, Ganesh Chaturthi or Navratri we need a reason to have fun. We start preparing for the festivals days in advance. We decorate our house like there’s a wedding in the family, prepare delicacies that suit the occasion and invite relatives as well. Not a single festival is complete without visiting at relatives’ or inviting them to your home. That’s the charm of Indian Culture and we are proud to boast it. As we all know the grand celebration of Navratra starts today and will go on for next 8 days. 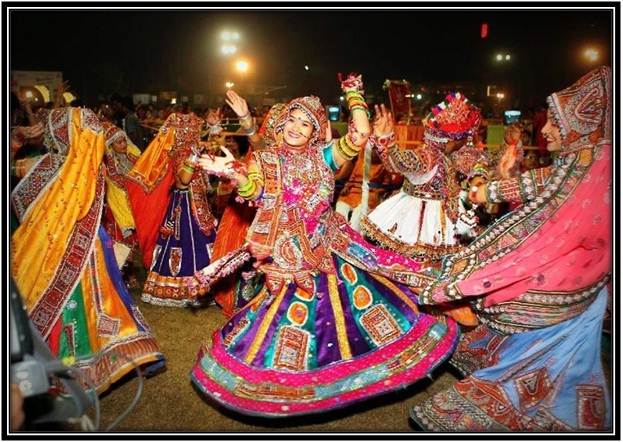 People wear beautiful lehenga – choli, dhoti – kurta and dance in all their glory in front of Goddess and seek her blessings. This festival is all about dance, colors, melody, food, devotion, and affectionate closeness. 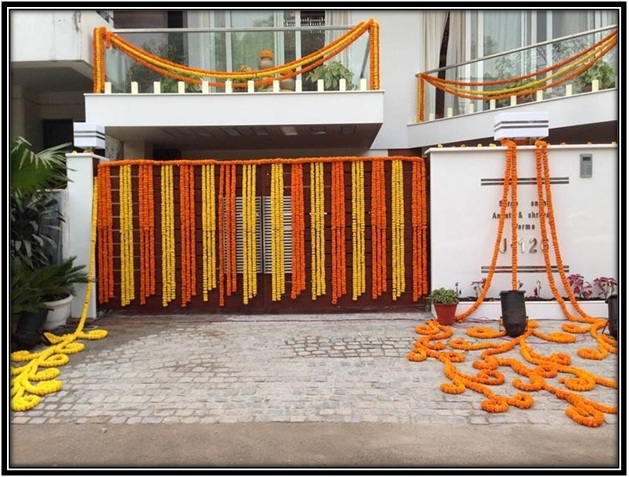 Why not decorate home in a way that brings this festivity fever to your doorstep!! In the coming segment we are going to talk about some serious inspirations to decorate your home with traditional and ethnic – cultural art this Navratra. 1. Rangoli – time to show off your creativity and fine skills by drawing a colorful rangoli at the doorstep. Rangoli not only gives a face lift to the home but is also a symbol of auspiciousness. You make beautiful rangoli’s with gulaal or colored rice or even flowers. 2. 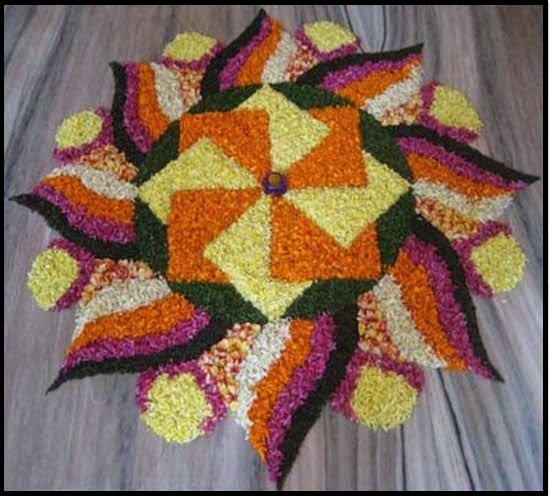 Floral Decoration – festivals and ceremonies are incomplete without flowers in Indian Culture. Why not abide by it and beautify your home both from outside and inside with flowers!! They also add a pleasing fragrance to the ambience apart from making it come alive. 3. Diya – light is an essential decoration for festivals in India. 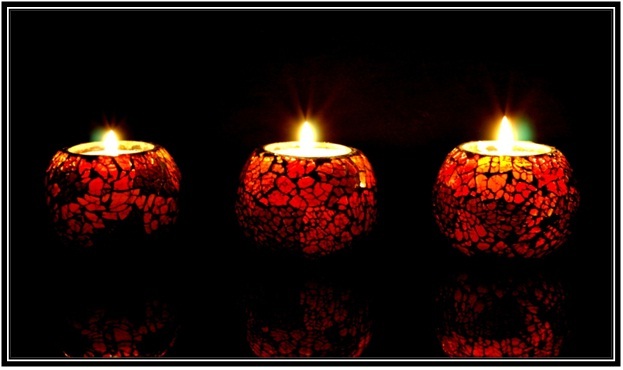 Do not hesitate to illuminate your home with diyas and candles. Be generous in bringing all the lights to your home this Navratra. You can even get artistic and hand paint the diyas and buy aromatic candles to add a gush of freshness to your home. 4. Earthen Pots – this is one of the most simple and cost-effective ways to bring ethnicity to your home. Placing earthen pots at the staircase or entrance will surely give a traditional look and combining it with flowers will definitely steal all the stares. 5. 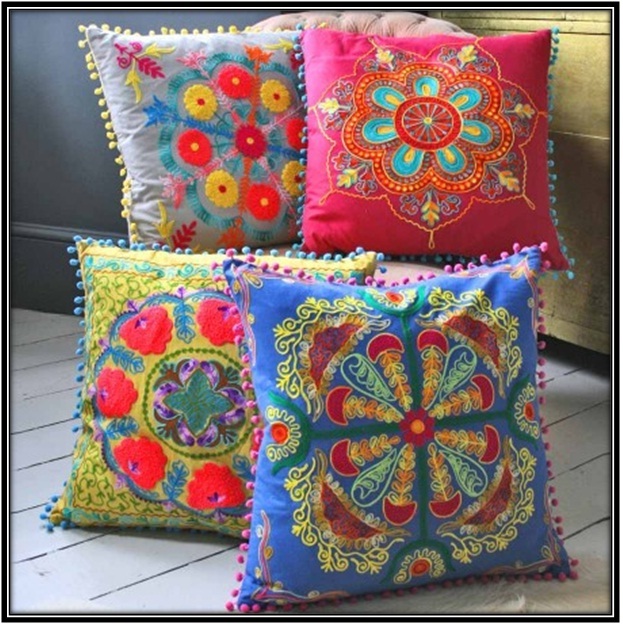 Ethnic Cushions – Rajasthani printed cushion covers, bed sheets, carpets have always been in great demand. With the elaborate designs, vibrant colors, embroidery, patch work, and mirror work you can undoubtedly jazz up your living area. 6. Get the Arts Out – don’t hesitate in displaying your collection of everything art especially traditional, old art work this festive season. Conventional Rajput paintings can do wonders to your walls. They are so beautifully and intricately painted with natural colors and are more than perfect to give ethnic look to the walls. Keep the festive spirit going and try one of these ideas today. Here’s wishing you all a very happy and joyous Navratra. May the festivity be a part of your home always! !